Our Bell Lyre is an outdoor instrument made of 8 graduated stainless-steel bells presented within a beautiful contemporary stand reminiscent of a lyre. Easy to play for all ages and abilities, the bells ‘sing’ when struck with the attached pair of beaters. The sound produced by the Bell Lyre is two-fold; the strike notes and the resonance. The bells range in diameter from 100mm to 290mm and each bell emits its own sound; with sweet, gentle tones from the bells at the top and deep, sonorous ‘gong’ like sounds of the bottom bells. 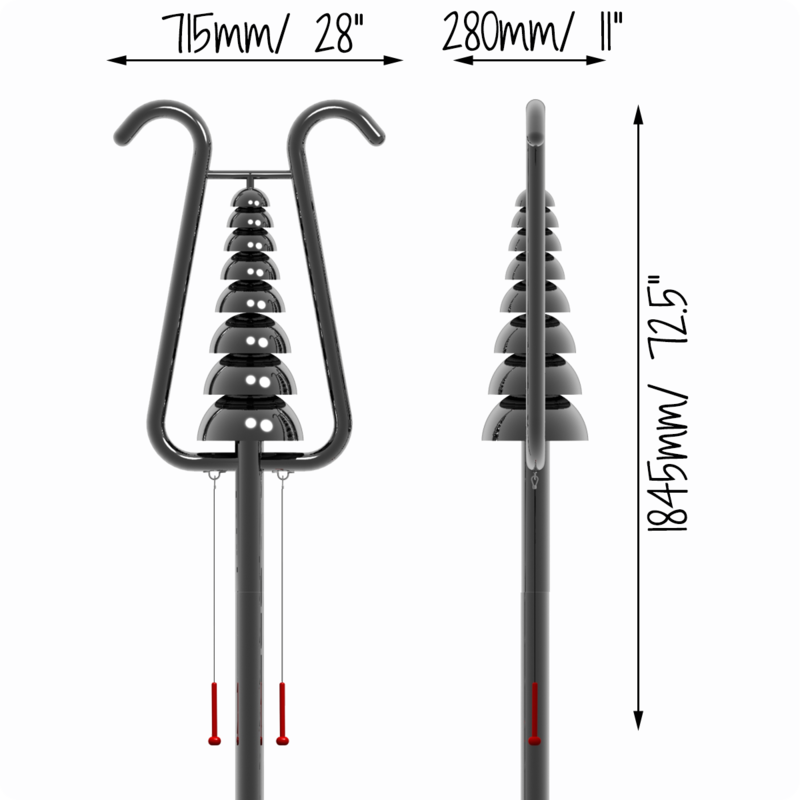 With an easy single post installation, the Bell Lyre is a low maintenance calming addition to any outdoor setting. The mirror-polished stainless-steel bells will reflect the environment and images of passers-by.